I live in Cambridge, Ontario, Canada which is a city just outside of Toronto. I am originally from the little town of Long Sault, Ontario. English is my first language. I graduated from secondary school with an official “Certificate of Bilingualism” but have lost most of my French language skills over the years. My oldest daughter, Ryleigh, was born in 2003. My middle daughter, Camryn, arrived shortly thereafter in 2005 and baby girl number three, Quynn, rounded out the family in 2007. There is a 3 year, 8 month age gap between my oldest and youngest daughter. Are you a stay-at-home mom or do you work outside the home? I work as an Environmental Toxicologist for an environmental consulting company. I have been with the same company for ten years and I am now an Associate with the firm. My mind NEVER rests. I am always thinking, pondering, debating, analyzing etc… I needed an outlet for these thoughts and opinions. I never thought I would be a “blogger” but I gave it a try as a “Social Change Is.” contributor a few months ago. I have to admit, I am hooked. Not only do I love sharing, but I love hearing what others are doing and saying about issues of importance to them. 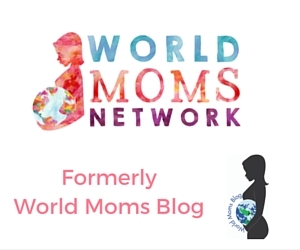 Being part of World Moms Blog has given me the opportunity to experience being part of a wonderful forum of interesting moms. I think I differ from other moms in that I have broad range of interests and actively pursue each and every one of them. I am an environmental toxicologist and am fortunate in that I love my job. I am the founder of a Canadian Not for Profit Organization that funds the school fees of women and children in Tanzania (www.mom2momafrica.ca). I am passionate about dedicating my life to making sure that each of my daughters is given the opportunity to be the best person that she can be. My girls are involved in my organization, as well as other global awareness activities that I participate in quite often. I am a strong believer in equality and am working to bring the internationally acclaimed Girls Inc. program to our region. I am an extremely passionate person and believe that I lead by example. I have never been one to sit back and follow…if something needs to be done, I am first in line to make it happen. I am very fortunate to have a great group of friends and fellow moms to support me along the way…otherwise I could never do what I do! Indifference – that is the biggest challenge of raising a child today. I absolutely refuse to accept indifference when it comes to my daughters. As global citizens, we each have the obligation to make the world a better place. Whether it be small steps or big leaps, we each must work towards a common goal of social responsibility. I think many young people are lacking in the areas of global awareness and empathy, and as a result have become complacent in their everyday lives. This needs to change…for our children and all future generations. As the founders of “Free the Children” have stated – the world needs your kid! A friend recommended the site to me and I was hooked instantly. I am so incredibly excited to be part of such an amazing and talented group of moms. I can’t wait to share with all of you and learn from all of you! This is an original post for World Moms Blog by Alison Fraser from SocialChange.is and Mom2Mom Africa. Photo Credit to the author. Alison Fraser is the mother of three young girls ranging in age from 5 to 9 years old. She lives with her family in Cambridge, Ontario, Canada. Alison works as an Environmental Toxicologist with a human environment consulting company and is an active member of the Society of Environmental Toxicology and Chemistry (SETAC). She is also the founder and director of the Canadian Not for Profit Organization, Mom2Mom Africa, which serves to fund the school fees of children and young women in rural Tanzania. Recently recognized and awarded a "Women of Waterloo Region" award, Alison is very involved in charitable events within her community including Christmas Toy and School Backpack Drives for the local foodbank. I agree with you, Alison! We totally need to teach our children to question the status quo and get involved in activities that promote a better future for all! 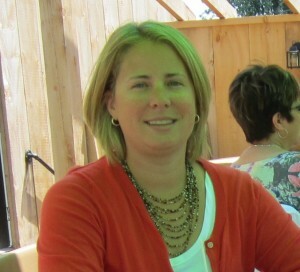 Alison, welcome to WMB! I’m a newbie myself and am hooked on all that I learn here. So glad to read about your story and checked out Mom2Mom, looks like amazing work you’re doing! Hi Alison, welcome! Our kids are the same spread, but each one of mine is one year behind each one of yours. Welcome to World Moms Blog, woohoo! I’m so glad you have joined us, Alison! 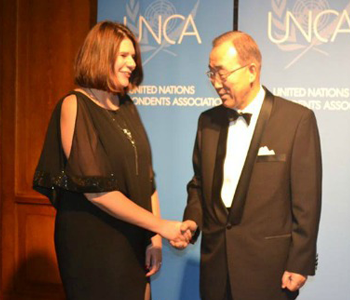 I look forward to hearing more about the work you are doing in Tanzania! Thanks Jen!!! So excited to be here!